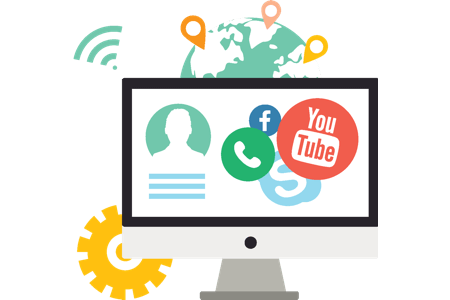 Your users are giving their opinions on platforms like Facebook, Twitter and plenty other social media networks. To classify their opinions, in terms of their happiness quotient as well as dissatisfaction it is imperative to measure it regularly. Here is where Tatvic’s Sentiment Analysis comes into play. 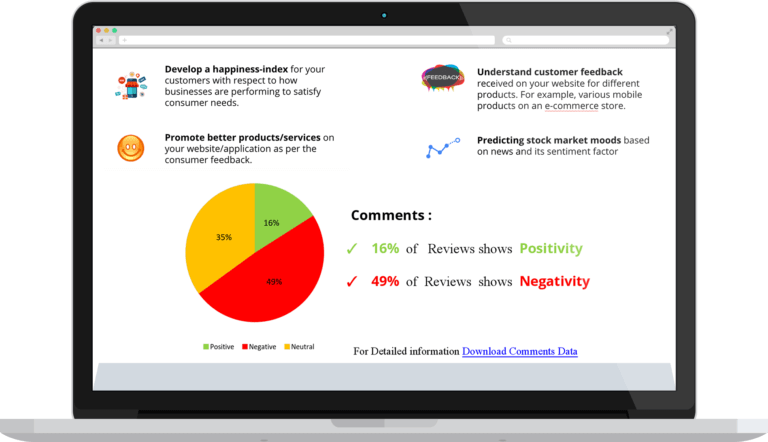 Sentiment Analysis lets you understand the customer feedback received on your website or app for different products. If the user of your product is dissatisfied, you will know what features need improvement and what is the level of urgency. Develop a happiness-index for your customers using Tatvic’s Sentiment Analysis. 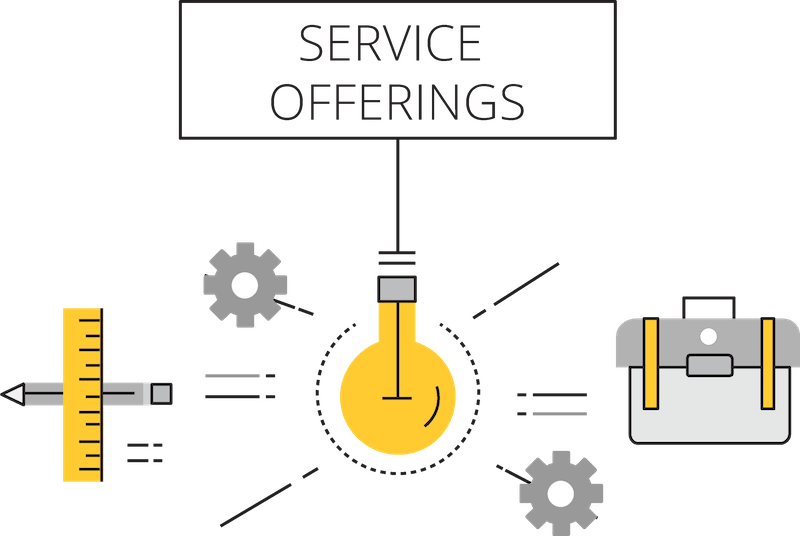 Take into account how your business or product is performing to satisfy consumer needs. 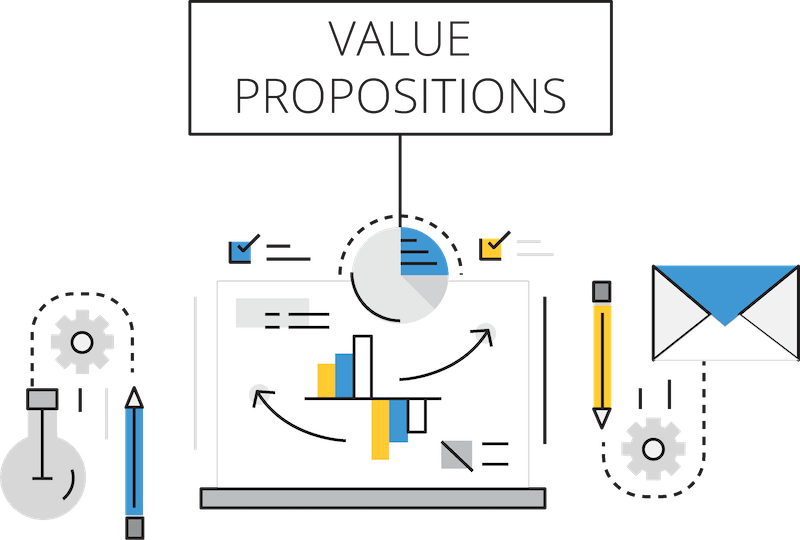 Promote better products or services on your website and application as per the consumer feedback. Predicting stock market moods based on news and its sentiment factor. Sentiment Analysis also consider app reviews as an input parameter. This helps to understand how your app is working and also user’s reaction on your products or services. These comments can be used as an input parameter to the sentiment analysis algorithm to understand Facebook effectiveness and engagement. Treat those tweets as your data using Sentiment Analysis. Use tweets as an input parameter to understand Twitter’s effectiveness. LinkedIn, Pinterest, and other platforms can also be used as a parameter to understand the effectiveness and engagement of users on these platforms.